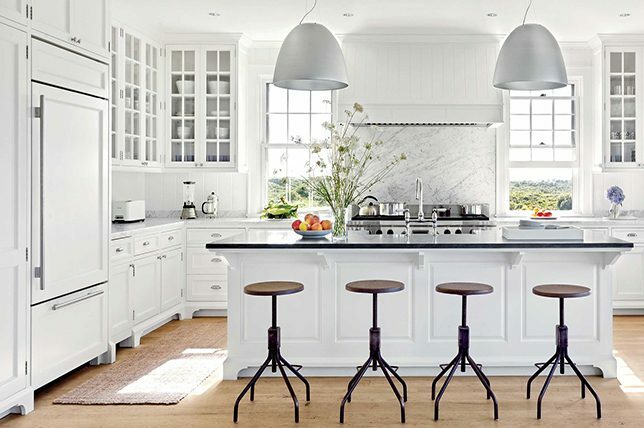 We love the clean, crisp lines of a modern home, and the tranquility that comes with a minimalist look. But we’ve all seen white modernist homes that can, frankly, feel a bit bland. The truth is, a home is not supposed to look like a museum. A home is supposed to look like a place where real human beings live. 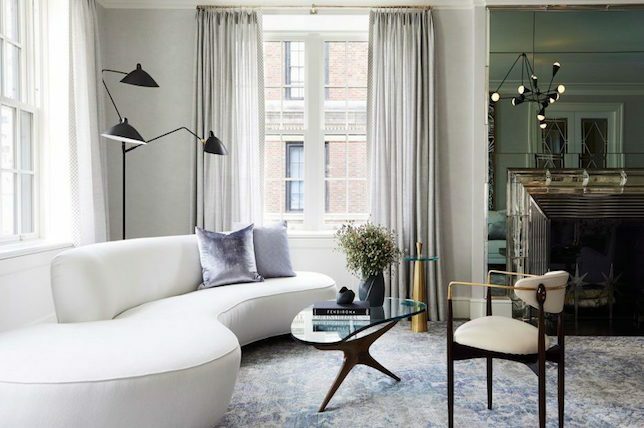 To add a bit of character to your modernist palace, without sacrificing your aesthetic, follow out guide to refreshening your minimalist space. One way to stay true to a minimalist color aesthetic, without making your home feel cold, is to incorporate textured rugs into your space. 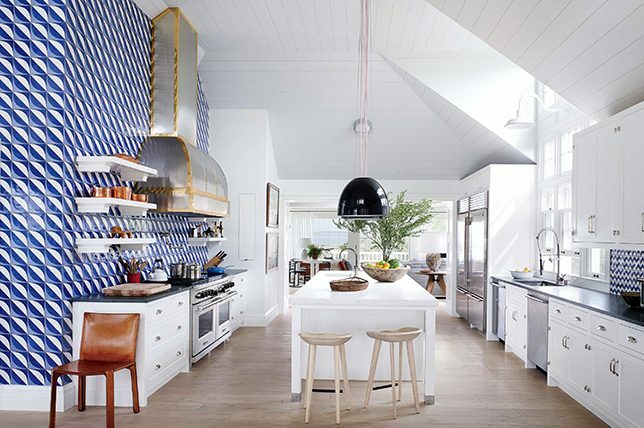 Pick a vivid geometric pattern that incorporates neutral colors, for a fresh, sleek, modernist vibe. 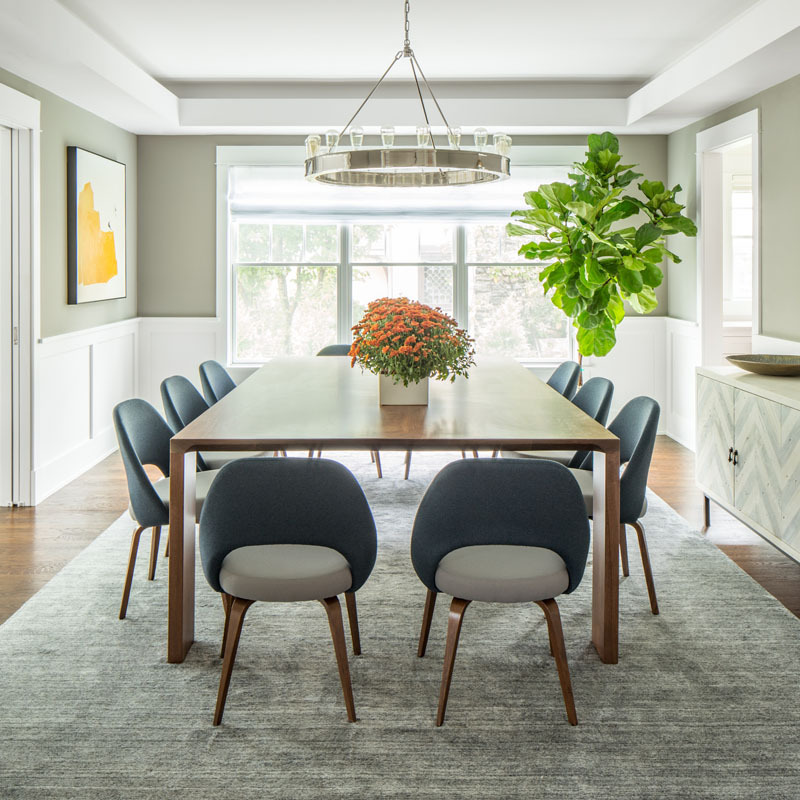 And if you’re looking for some inspiration on textured rugs, check out the one we used in the living room of this Westchester home redesign. Just because you only took one art history course in college doesn’t mean that you can’t decorate your apartment with art books you haven’t read. 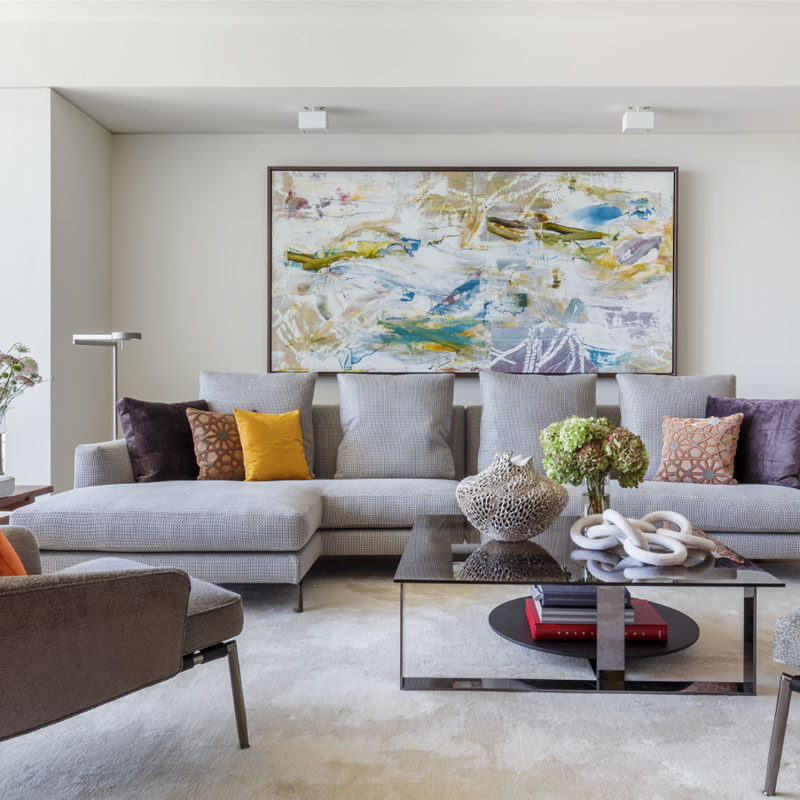 Put your inner curator on display by selectively placing colorful art books around your living room and other common areas. 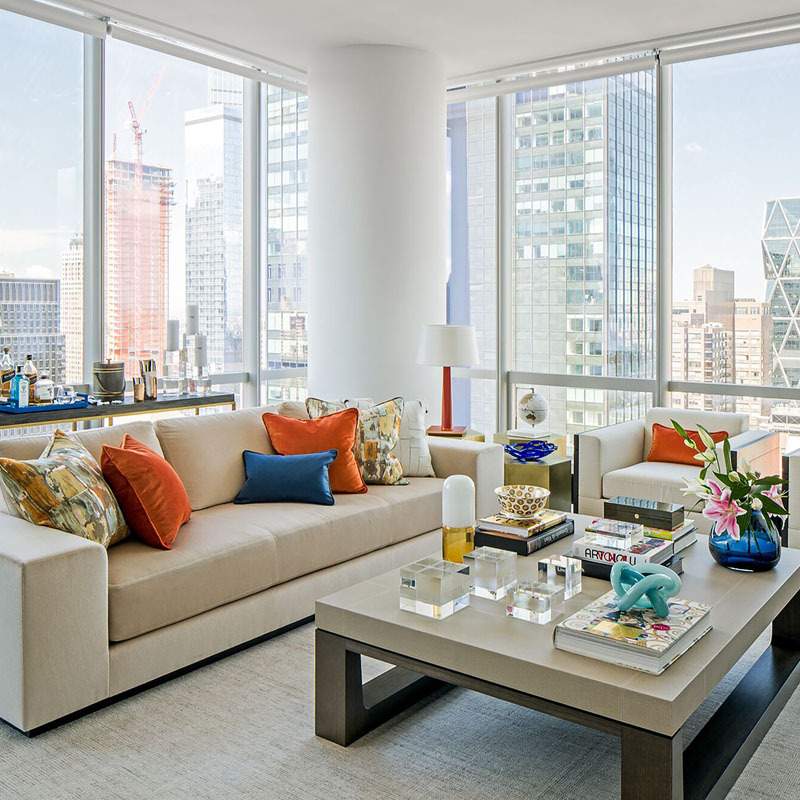 If you’re looking for examples of colorful additions, check out the coffee table from this New York apartment that we redesigned. One off the easiest ways to add some character to a minimalist space is to incorporate colorful throw rugs. Whereas an area rug should stick with neutral colors, pick something brighter and more colorful for a throw. These can be swapped out over the course of the year, so don’t be afraid to pick something that’s seasonally appropriate. And if you’re looking for some inspiration, check out our guide to geometric throw rugs. 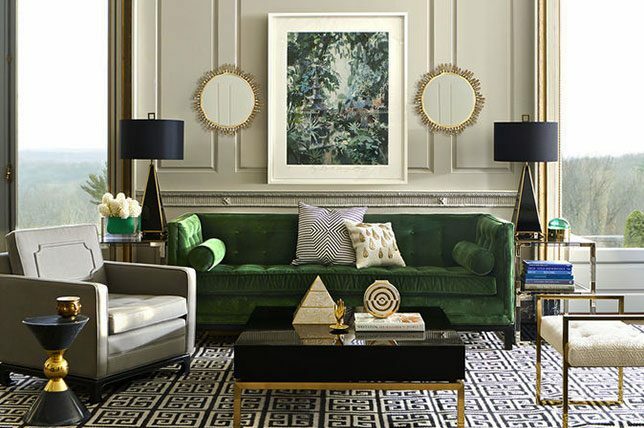 One way to spice up a sleek, minimalist aesthetic is to incorporate brass objects into your foyer and living room. Architectural items contrast well against neutral tones and solid patterns, and create a distinctly refined contemporary look. Check out this foyer we styled, also from our Westchester redesign. 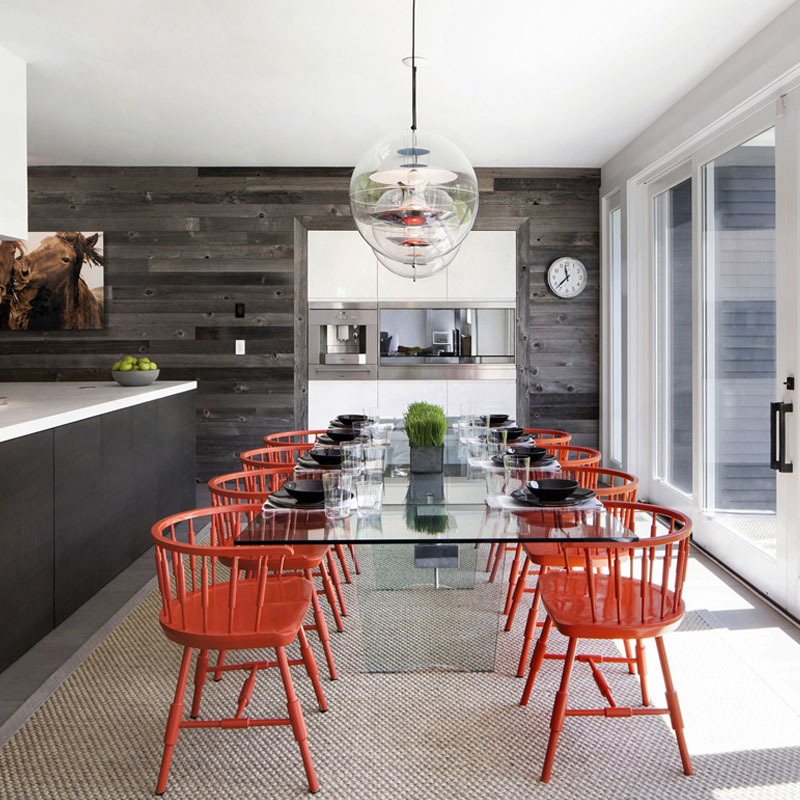 If a mid-century modernist aesthetic suits your fancy, then consider incorporating some wood pieces into your space. Solid teak wood pieces and Danish designs will always compliment sleeker, more contemporary elements in the home. Check out the wood breakfast room table and matching chairs from an Upper East Side redesign we did for an Advertising Executive. What goes better with modern furniture than modern art? 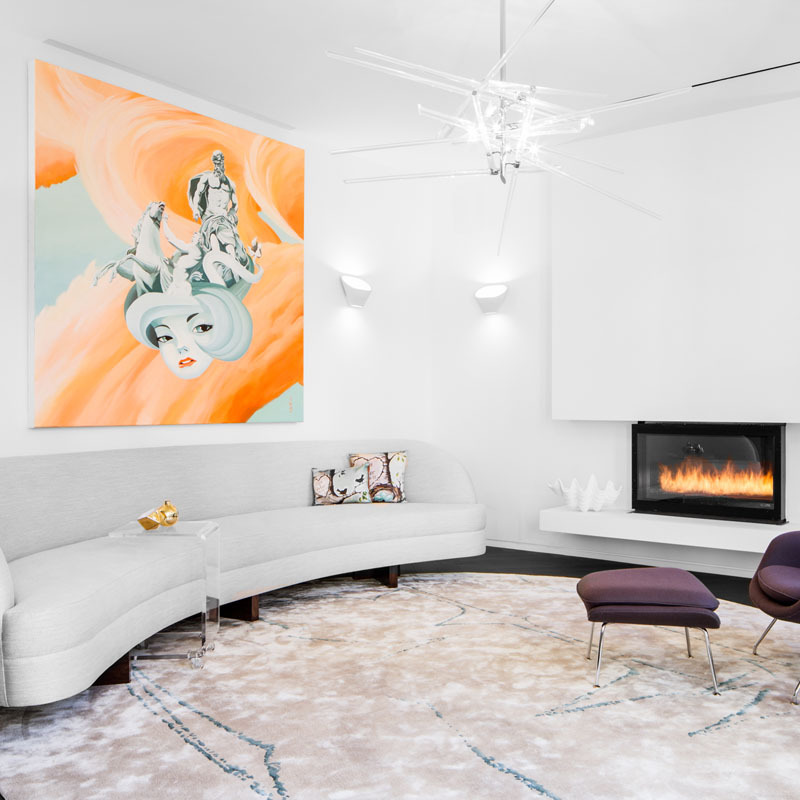 If you’re trying to find ways to add character to a minimalist home, then add in some art pieces. Bright and vivid colors will pop against a white background, and give your guests something to gawk at. 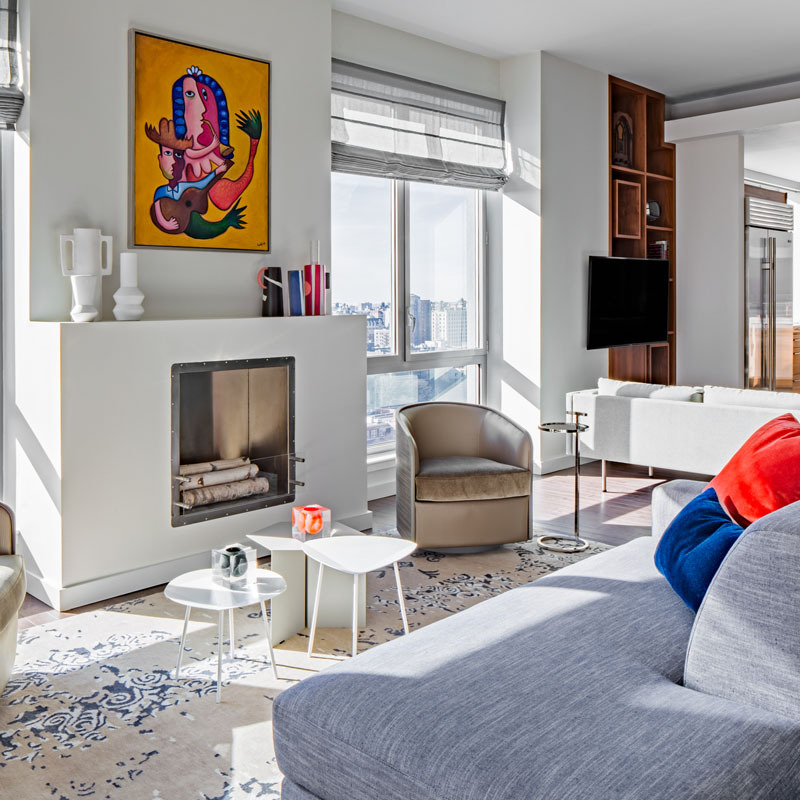 Check out the piece we installed in this Manhattan living room. Similar to throw rugs, pillows can add a needed dose of color or pattern to your living room. 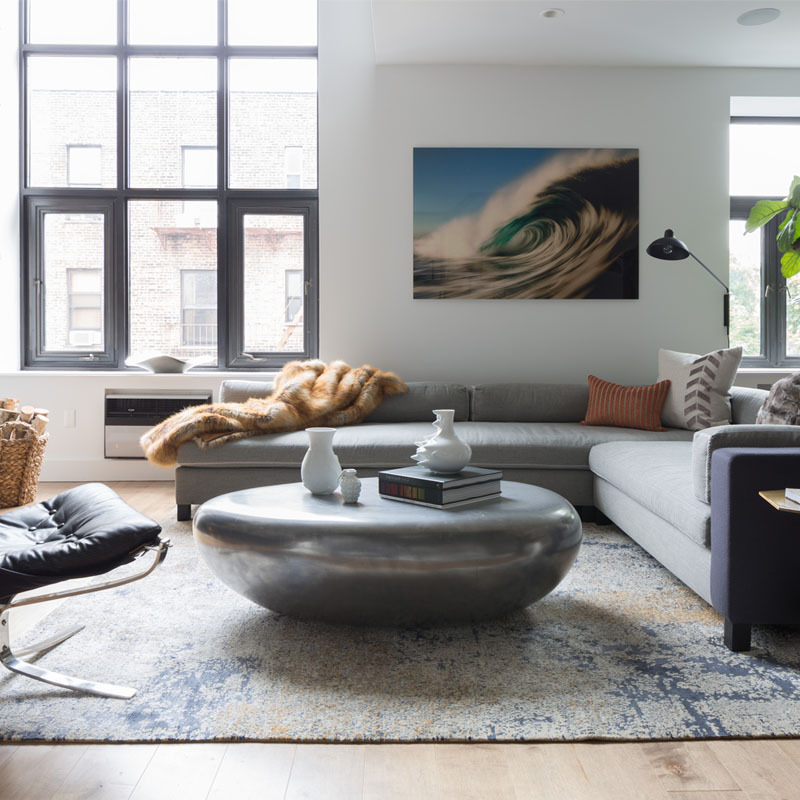 And like throw rugs, pillows can be swapped out throughout the year, so you can pick items that are both modern and seasonally appropriate. 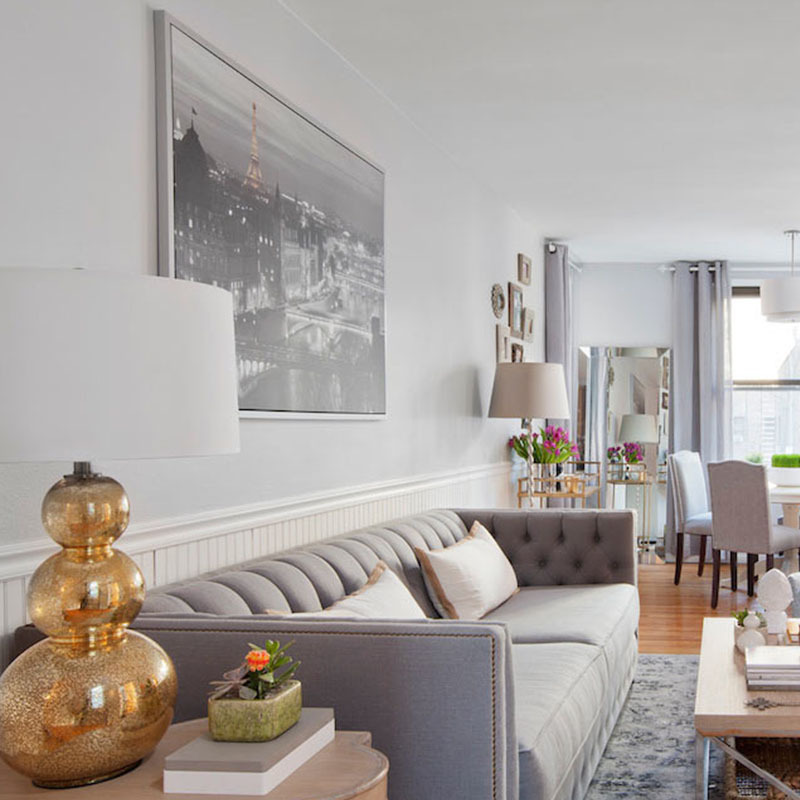 Check out the pillows we placed in this Soho Duplex redesign. 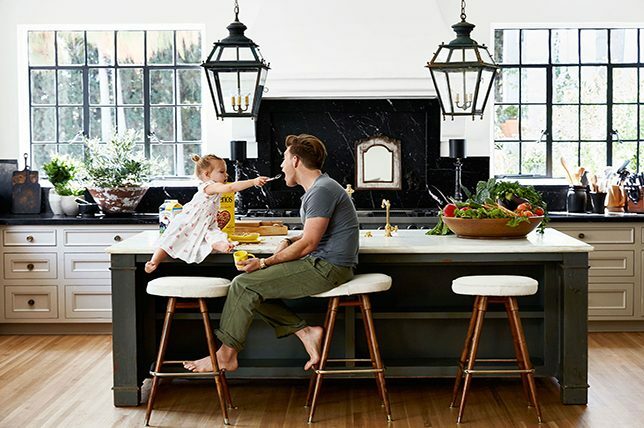 You don’t actually have to venture outdoors to bring home a piece of nature, but consider incorporating some more natural elements into your modern space. Green plants, in particular, make wonderful additions, and we love more decorative objects that incorporate wood. 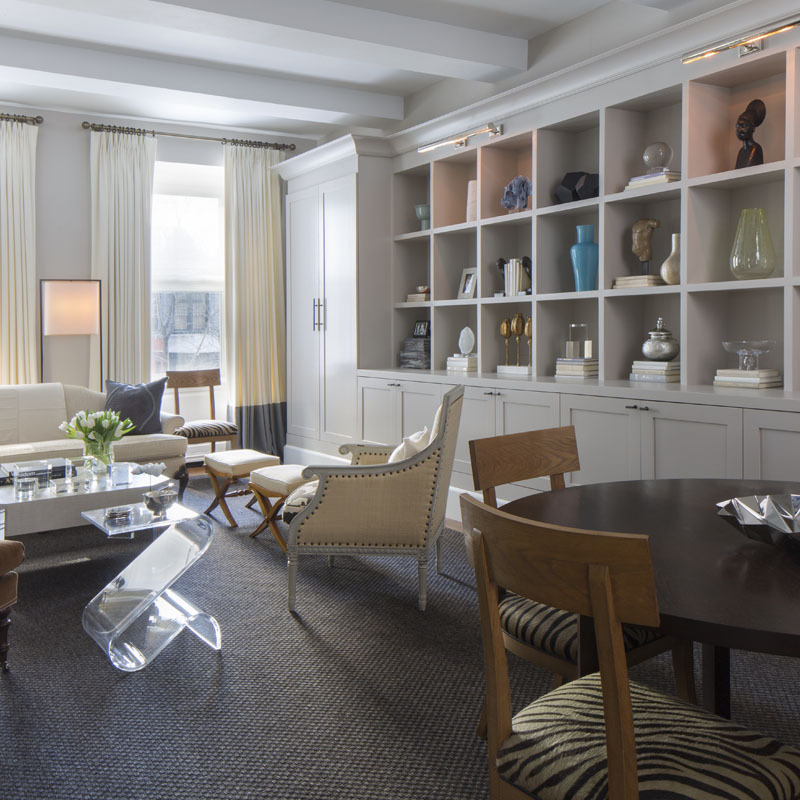 Check out the natural elements in play at our Luxury Condo Redesign on San Francisco’s Market Street.